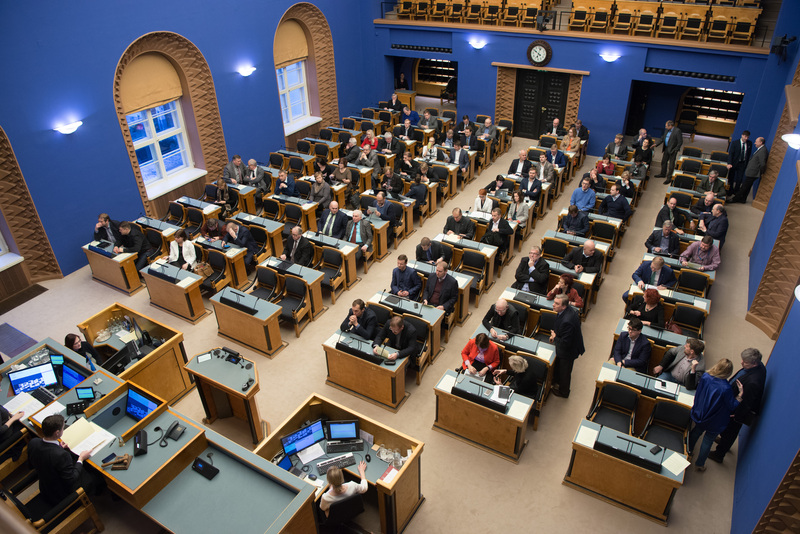 At today’s sitting, the Bill initiated by the Government, changing the regulation relating to the organisation of studies for pupils with special educational needs passed the first reading in the Riigikogu. The Bill on Amendments to the Basic Schools and Upper Secondary Schools Act and Amendments to Other Associated Acts (519 SE), initiated by the Government, will increase the support of support specialists in order to raise the availability of the support services necessary for children. In addition, a regulation for payment of national educational scholarships and awards to people working in educational institutions will be provided for. According to the Bill, the organisation of basic education as regards pupils with special educational needs, that is, pupils who need support, will be the responsibility of local authority. Indeed, the principle of inclusive education according to which, as a general rule, pupils who need support should study in the school of their residence and according to the single basic school national curriculum has been observed so far, too. Under the current law, the state has the obligation to establish and manage schools for pupils with serious special educational needs. The state will continue to manage schools directed at children with special needs and will agree with local authorities upon the potential transfer of the management of such schools. According to the Bill, a pupil’s need for enhanced support or special support will be assessed in cooperation of an extra-school counselling team and the school. The school will have the right to adjust the carrying out of studies accordingly. For that, in addition to the education support, owners of municipal schools and owners of private general education schools will have funds for the operating expenses of the school, such as adjusted learning materials and environment. In addition, the capability of local governments will be increased, for which support will also be allocated for availability of the service of support specialists offering general support. The Minister of Education and Research Mailis Reps introduced this Bill and its aims in her report. The Chairman of the Cultural Affairs Committee Aadu Must spoke of the various proposals and positions that had been voiced at the committee meeting. During the debate, Heljo Pikhof from the Social Democratic Party Faction, Liina Kersna from the Reform Party Faction, Tiina Kangro from the Pro Patria and Res Publica Union Faction and Krista Aru from the Free Party Faction took the floor and presented their positions. The red thread running through the positions of the representatives of the factions was not to rush, to discuss this issue further and to find solutions to the shortcomings. The deadline for submission of motions to amend is 5.15 p.m. on 2 November. The Bill on Amendments to § 76 of the Medicinal Products Act (481 SE), initiated by the Social Affairs Committee, will provide for measures to ensure consistent availability of medicinal products for Estonian patients. The Bill will influence the holders of marketing authorisations for medicinal products to market authorised medicinal products in Estonia, and will motivate them to actually do so. The Bill on Amendments to the Private Schools Act (520 SE), initiated by the Government, will create the basis for the state to participate in the covering of the operating expenses of private general education schools. The Bill will ensure activity support for private schools at the average level of local authorities and create a sustainable private schools funding plan 2020+. The Bill does not concern the principles of giving the education support allocated to owners of private general education schools from the state budget as regards the labour expenses of teachers, heads of school and head teachers, as well as other costs necessary to fulfil the curriculum and manage the school. Local authorities will also continue to have the right to support owners of private general education schools in the covering of operating expenses. According to the Bill, it will be possible for a private general education school to apply for support for covering operating expenses from the state budget if the following requirements are complied with: an activity licence has been issued to the school for an unspecified term; the school does not request a tuition fee, or the tuition fee per pupil per month on the average amounts to a certain per cent of the minimum remuneration rate; the profit gained from the activity of the school is invested in teaching and education activities; the budget and the educational expenditure of the school are public, and the school does not have tax arrears to the state. Upon compliance with the requirements specified, according to the Bill, support can be applied for starting on 1 September 2018. The support will be calculated based on the number of pupils as at 10 November, and the average amount of the operating expenses of a pupil place of the general education schools of the local authority in whose administrative territory the private general education school operates. Support will not be allocated upon failure to comply with the requirements, and the minister responsible for the field will have the right to reclaim the support if the support is allocated on the basis of incorrect data. Under the current Private Schools Act, support for covering the operating expenses is allocated to private general education schools until 31 December 2019. The rate of the allocated support is 75 percent of the average amount of the operating expenses in 2016 of a general education school of the local authority in whose administrative territory the private general education school operates. According to the Bill, the current regulation will remain in force, and transitional provisions for application of the ceiling for tuition fee will be provided for. During the debate, Martin Helme from the Estonian Conservative People’s Party Faction, Jürgen Ligi from the Reform Party Faction, Toomas Jürgenstein from the Social Democratic Party Faction, Priit Sibul from the Pro Patria and Res Publica Union Faction and Krista Aru from the Free Party Faction took the floor. 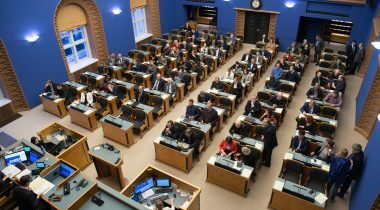 Due to the end of the working hours of the plenary sitting of the Riigikogu, the first reading of the Bill on Amendments to the Act on Granting International Protection to Aliens (472 SE), initiated by the Legal Affairs Committee, will be included in the agenda for the next sitting. Verbatim record of the sitting (in Estonian) http://stenogrammid.riigikogu.ee/en/201710191000.